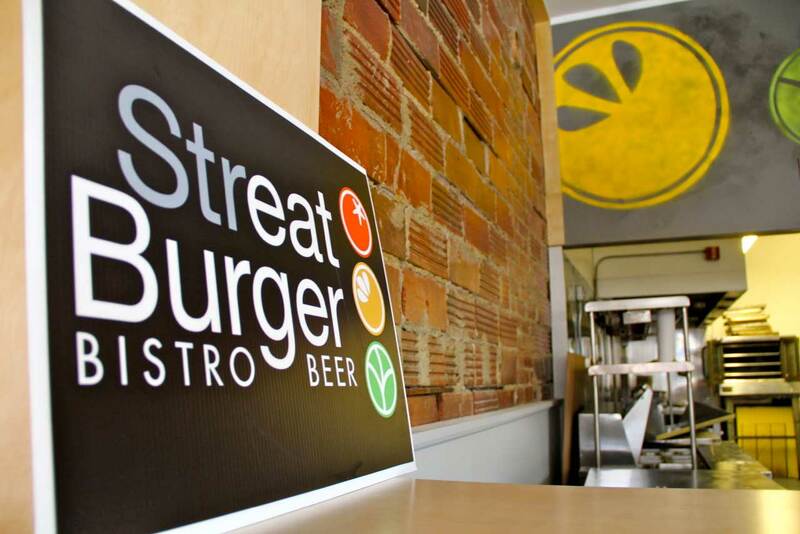 Streat Burger is now open! Come in and enjoy our unique burgers and grab a beer from our “99 bottles of beer on the wall…” We have a menu of imaginative and delicious burgers, fries, mac & cheese, and seasonal specials. We don’t use freezers or microwaves! Our toppings and sauces are made in house, or locally bought.